Includes: Height-adjustable table, ceiling-mounted data projector(s), USB, USBc HDMI, VGA and XLR ports, presentation remote, audio projection, and a built-in desktop computer. Wireless microphone system consisting of (1) lavaliere and (1) handheld wireless microphone. 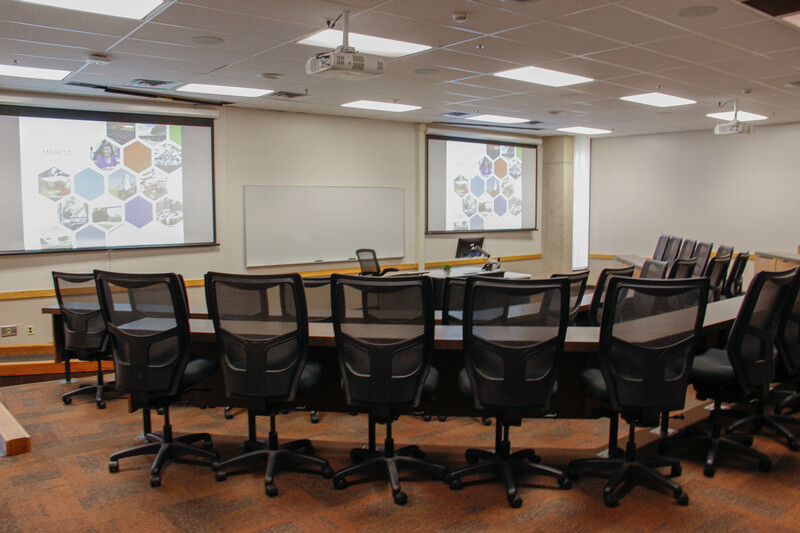 Touch screen to control sound, input and ceiling-mounted data projector(s). A/V inputs for client equipment available.